Grazing in Mexico, originally uploaded by Erin *~*~*. The birds situation here at the waterside tables in Mexico is abhorrent. We spoke to the manager and let him know that the dining experience is severely degraded and the birds and humans are in peril when guests are not told that feeding wildlife table side is not acceptable. He asked us to stop by guest relations and tell them too. Mexico at night, originally uploaded by Erin *~*~*. 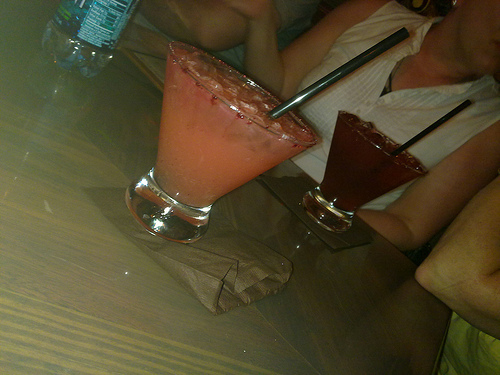 Back to La Cava, originally uploaded by Erin *~*~*. We are headed to Herman’s Hermits in EPCOT, originally uploaded by Erin *~*~*. 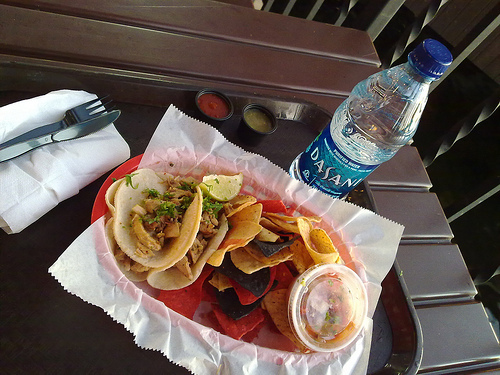 To-go cup from La Cava…. 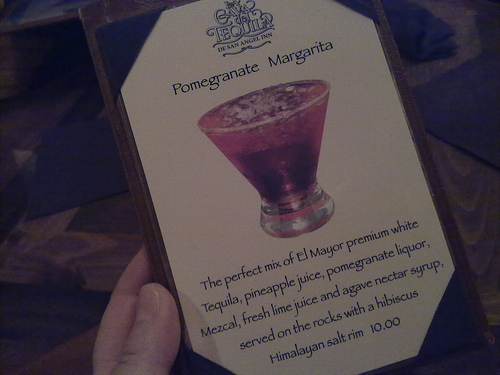 Ordering in – La Cava del Tequila at EPCOT, originally uploaded by Erin *~*~*. 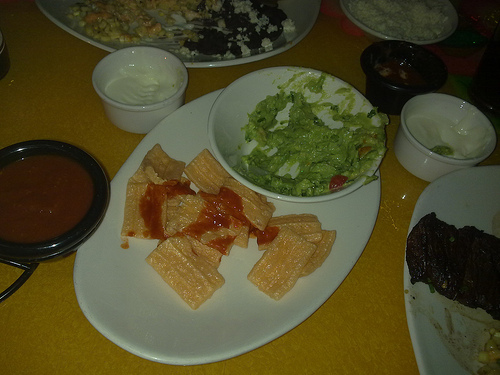 They don’t serve the appetizers they used to so we are forced to import them from counter service. "Mecca" at Epcot, originally uploaded by Erin *~*~*. 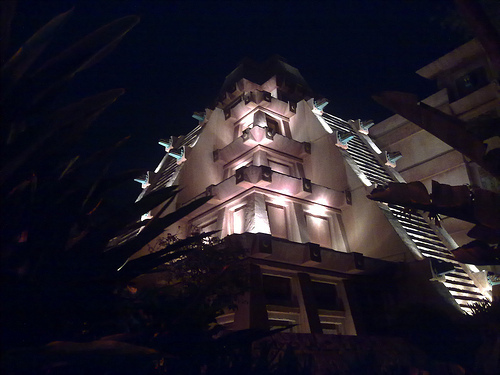 We are at La Cava – of course! 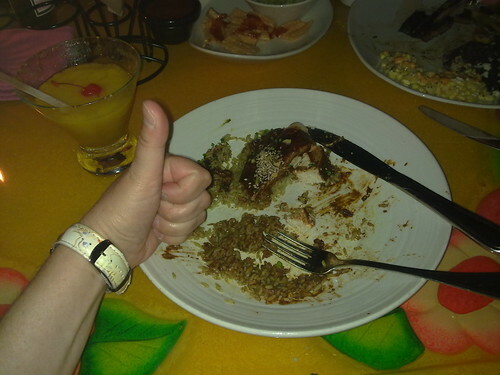 Thumbs up for the mole poblano, originally uploaded by Erin aka Tink*~*~*. Make sure you like things spicey before you order this! Holy guacamole!, originally uploaded by Erin aka Tink*~*~*. 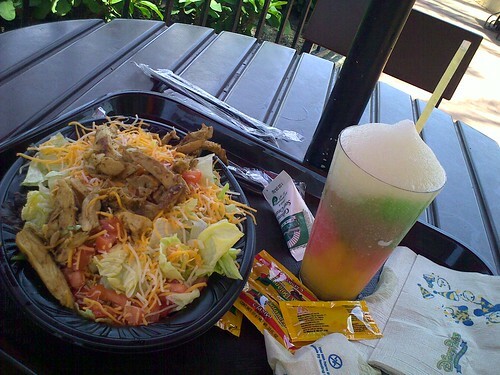 Walk-up! Something tells me there is tequila in our future, originally uploaded by Erin aka Tink*~*~*. 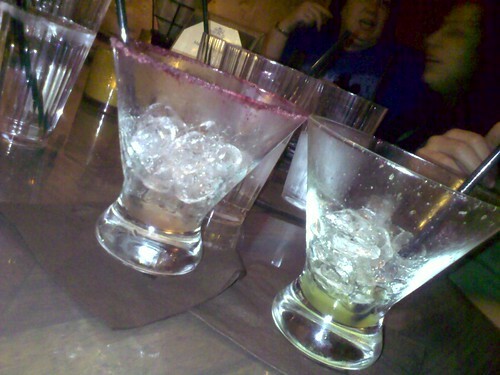 We’re goin’ in #mexico, originally uploaded by Erin aka Tink*~*~*. 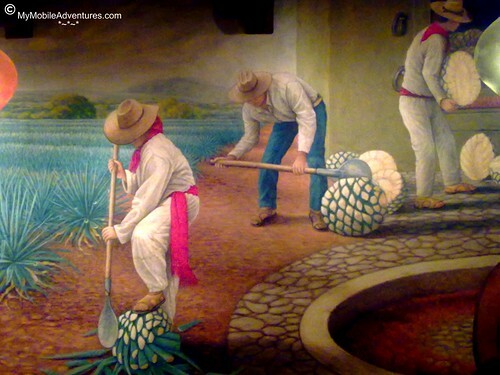 ABOVE: It only LOOKS like a pineapple – these guys are making tequila! This is part of a mural that covers the wall in La Cava Del Tequila, the relatively new tequila bar inside the Mexico pavilion. 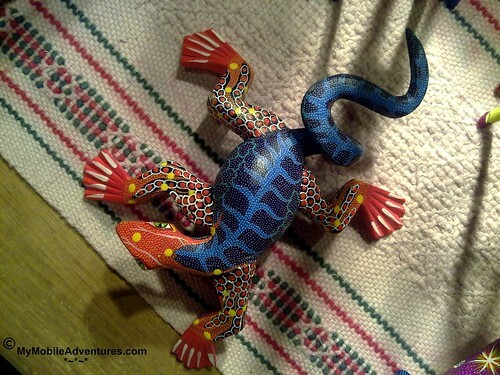 ABOVE: This lizard carving is a sample of folk art from Oaxaca (wah-HAH-ka), Mexico. 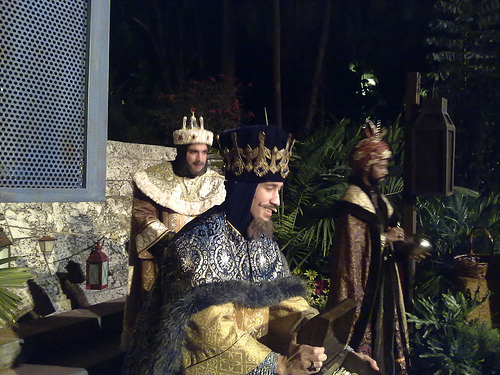 I thought he was cute, but if he was real and on my lanai – not so much! 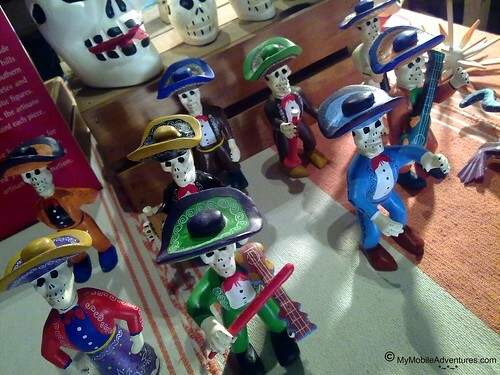 ABOVE: The Day of the Dead is a Mexican holiday that occurs right after Halloween. 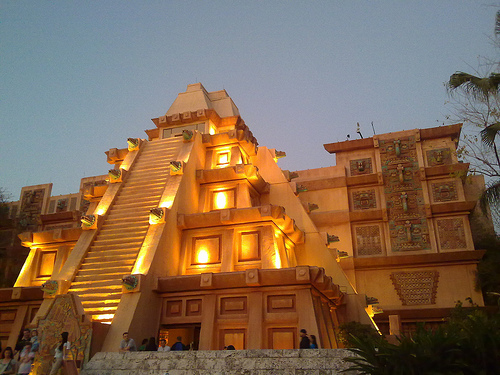 This festival dates back to Aztec times (only back then, it was a month long!). People remember and honor their ancestors on this day, sometimes dressing up as a skeleton in clothing. They even visit the graves and make a picnic of the deceased’s favorite foods! 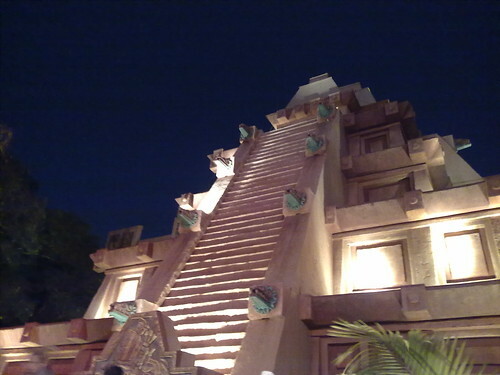 Perpetual twilight of Mexico, originally uploaded by Erin aka Tink*~*~*. 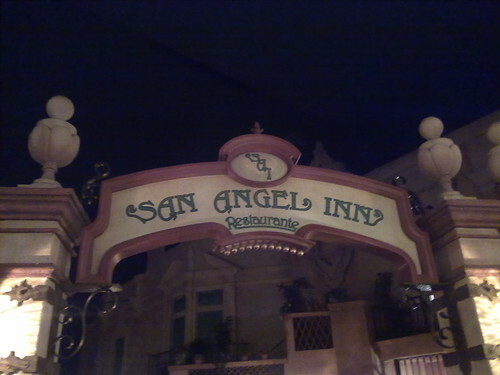 I think I am meeting some people here for a little La Cava del Tequila, but I’m early. Rats they’re all out 🙁, originally uploaded by Erin aka Tink*~*~*. 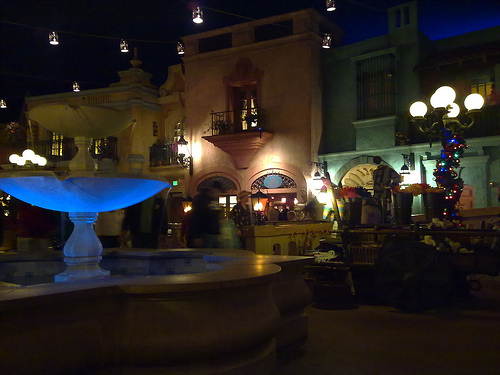 We’re at La Cava in Mexico, Epcot. I’ll have pineapple instead. 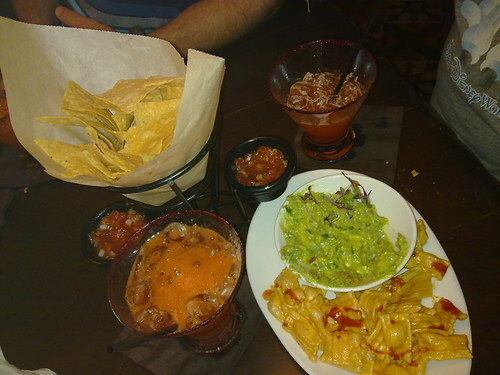 Guac and flight at La Cava, EPCOT, originally uploaded by Erin aka Tink*~*~*. 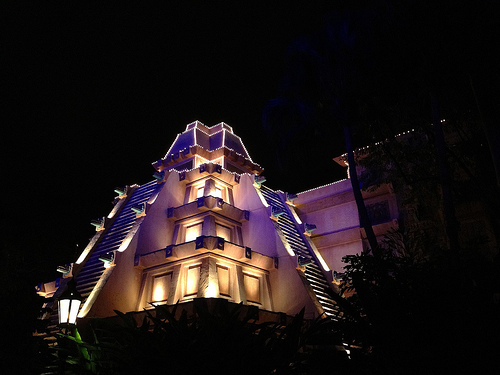 Three Magi tell stories in Mexico, originally uploaded by Erin aka Tink*~*~*. 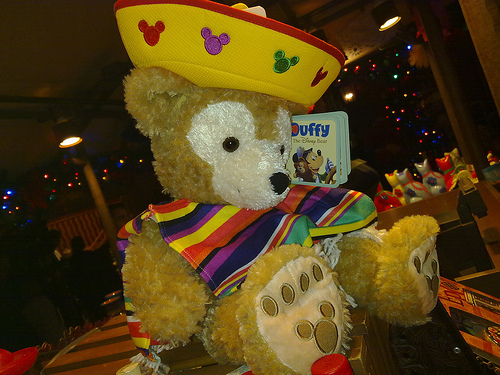 Duffy conquers Mexico, originally uploaded by Erin aka Tink*~*~*. This is just ridiculous – and I bet mucho denaro is made! Think I’ll take a boat ride, originally uploaded by Erin aka Tink*~*~*. Dining waterside in Mexico #wdw, originally uploaded by Erin aka Tink*~*~*. 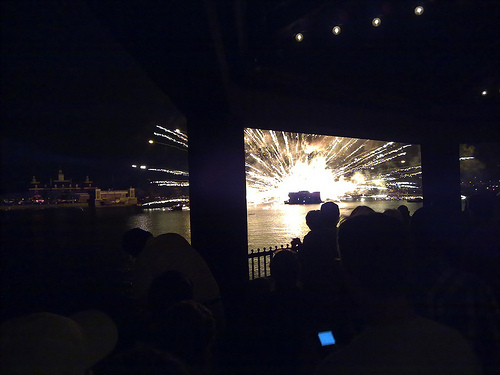 Watching Illuminations from the gazebo in Mexico is a cluster #epcot, originally uploaded by Erin aka Tink*~*~*. People shoving themselves and their kids between the tables at the rails. People seated beyond the rails who were apparently expecting to remain seated while watching are pissed off. And don’t tell me your kid got to be five and you didn’t know she screams and cries and covers her ears. People are heartless. 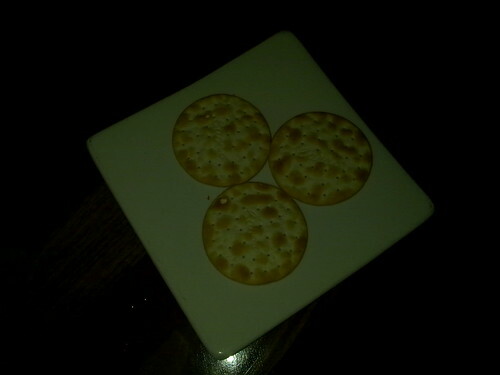 Palate-cleansing crackers for tequila tasting #disney #wdw, originally uploaded by Erin aka Tink*~*~*. 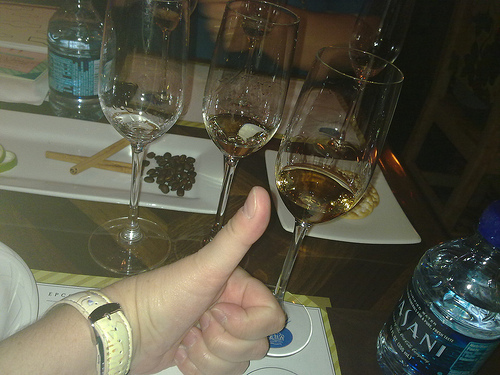 Tequila tasting at EPCOT – the winnah accrding to my palate was number 3 #disney #wdw, originally uploaded by Erin aka Tink*~*~*. 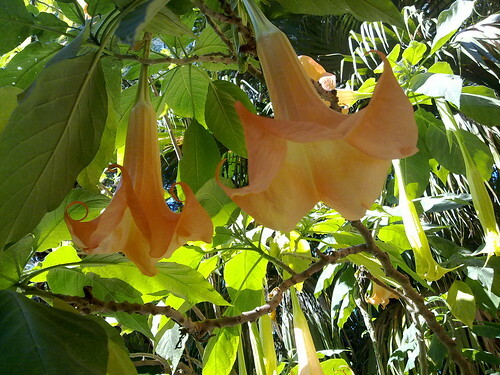 Angel Trumpets outside Mexico #disney #wdw, originally uploaded by Erin aka Tink*~*~*. 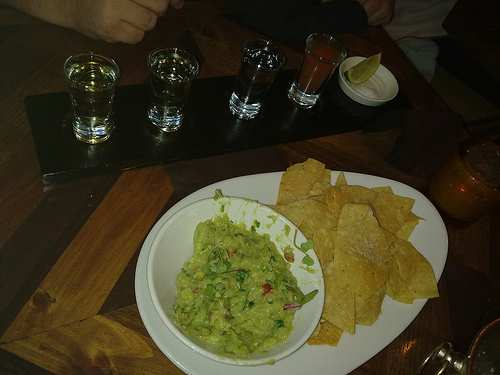 Tequila Tasting – 3 different kinds, originally uploaded by Erin aka Tink*~*~*. 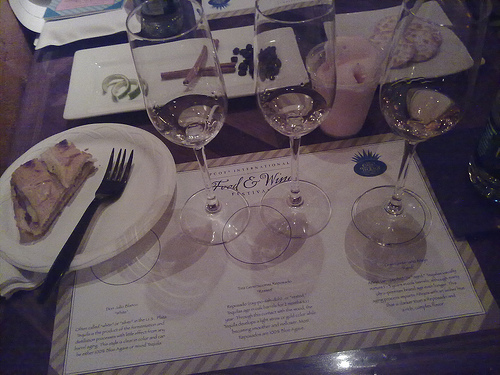 Table was set nicely for the tequila tasting at La Cava del Tequila at EPCOT’s Food & Wine Festival. 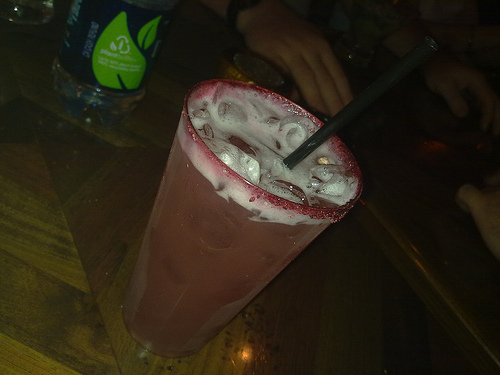 TEQUILA! 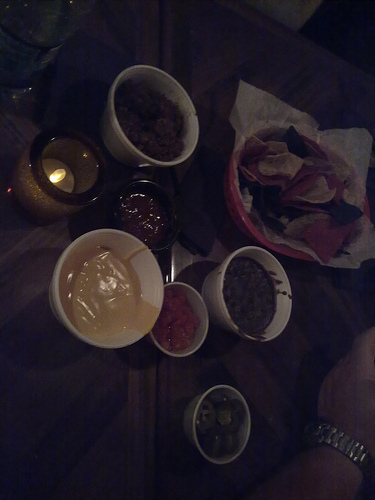 And snacky treats, originally uploaded by Tink*~*~*. 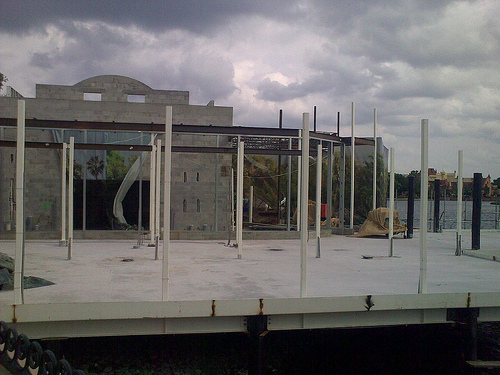 the new Mexico construction at EPCOT, originally uploaded by Tink*~*~*. Blatant bad show! I don’t know that I’ve ever see it this bad. 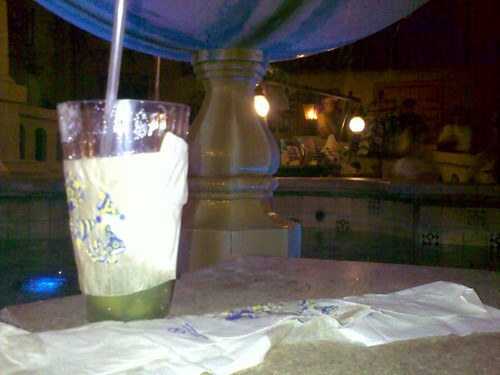 A couple of dead soldiers from our table in the tequila bar at EPCOT, originally uploaded by Tink*~*~*. 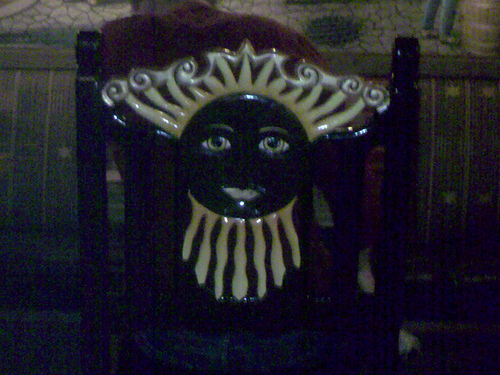 Chair in Tequila bar, EPCOT, originally uploaded by Tink*~*~*. 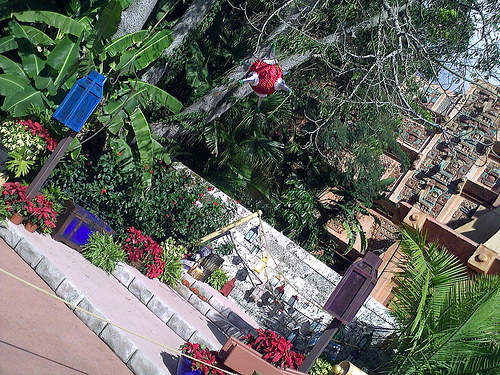 Christmas pinata in EPCOT, originally uploaded by Tink*~*~*. 🙂 For that non-slip grip on yer margarita! 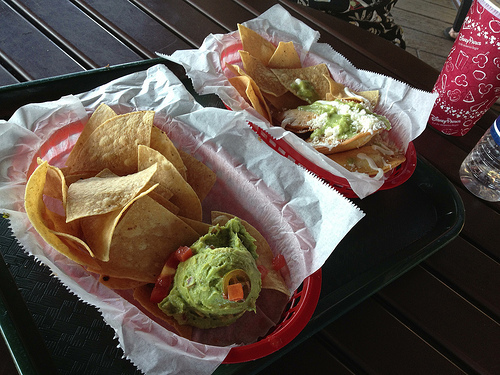 Per @edcrbnsoul, first got me a Fiesta Margarita, then food. Immediate svc, not crowded at all.